To become agents of needed social change in their country. The Jesuit College thus aims at making its own contribution towards a transformation of the present-day social condition so that principles of social justice, equality of opportunity, genuine freedom, and respect for religious and moral values, enshrined in the constitution of India, may prevail, and the possibility of living a fully human existence may be available to all. The Indian mission of the Jesuits lies at the very origin of their Order. It is to India that Ignatius of Loyola, the Founder of the Society of Jesus, sent his greatest son, Francis Xavier. Xavier was a zealous "missionary on the move". He constantly traveled along the Fishery Coast, then west, into Marava country, then to Mylapore (present day Chennai). He sailed to Malacca and Japan in 1549 where he spent two and a half years. In April 1552 he sailed to China via Malacca from Goa, never to return alive. He died at Sancian, a small island facing China, on the 2nd of December of the same year. Wherever he went, he plunged himself into charitable and pastoral work preaching the message of God's love to people. He worked in India for ten years, from 1542 to 1552, it is called the Xaverian decade. He began his new life at the age of 31. He spent a year of severe penance and intense prayer in a solitary cave on the banks of the river Cardoner near the town Manresa. He recorded his experiences in the book of the Spiritual Exercises, which became the soul and centre, the rule and character of every Jesuit, who came after. Reflecting on the crisis in the Church of his time, he felt that the need of the hour was for the learned and holy priests, free of greed and ambition and ready to serve the poor and to give witness to the love of Christ for men. To achieve this objective, he set himself in earnest to study from grammar school to college and university in the various Spanish centres of learning, and finally took his Master's Degree from the Sorbonne University, Paris. At the same time, he won over a group of brilliant and like-minded university men one of whom was St. Francis Xavier (the patron saint of India), moulded them by the Spiritual Exercises and welded them into a religious fraternity which became the Society of Jesus. The followers of St. Ignatius popularly came to be known in the course of time as Jesuits. It was St. Francis Xavier who began the educational work of the Society of Jesus in India. 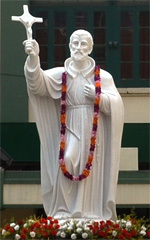 St. Xavier's College, Ranchi is named after this great saintly scholar- St. Francis Xavier. This College was established by the Jesuit Fathers of the Ranchi Province on July 3, 1944. Though there are about 93 schools and 17 Colleges in India run by this world-wide Religious Order, St. Xavier's College, Ranchi was established to provide higher educational opportunities primarily to the Catholic Tribal boys and girls of Jharkhand. The Society of Jesus proclaims that the service of faith through the promotion of Justice is the mission that must be integrated as a priority into each Jesuit work. Our purpose in education, then, is to form men and women "for others". The Society of Jesus has always sought to imbue students with values that transcend the goals of money, fame and success. We want graduates who will be leaders concerned about society and the world in which they live. We want graduates who desire to eliminate hunger and conflict in the world and who are sensitive to the need for more .. equitable distribution of the world's goods. We want graduates who seek to end sexual and social discrimination and who are eager to share their faith with others. In short, we want our graduates to be leaders-in-service. That has been the goal of Jesuit education since the sixteenth century. It remains so today. What do we mean by Jesuit education ? To answer that, to establish Jesuit identity, we must look to St. Ignatius Loyola, founder of the Society of Jesus. We must link our work in education with the lgnatian Spirituality which inspires it. Jesuit education is value oriented. There is no aspect of education, not even the so-called hard sciences, which is neutral. All teaching imparts values. A value literally means something which has a price, something dear, precious or worth-while and, therefore, something that one is ready to suffer or sacrifice for, which gives one a reason to live and, if need be, a reason to die. Values, then, bring to life the dimension of meaning. Values provide motives. They identify a person, give one a face, a name and character. Without values, one floats, like driftwood in swirling waters. Values are central to one's life and define the quality of that life, marking its breadth and depth. Values are anchored in the "head." I see reasons why something is valuable and I am intellectually convinced of its worth. Values are also anchored in the "heart". The language of the heart tells me that something is worthwhile. I am able to perceive something as of value. I am also affected by its worthiness. Values are also anchored in the "hand". When the mind and the heart are involved the whole person is involved. Values lead to actual decisions and real actions-and necessarily so. Each academic discipline, when honest with itself, is well aware that the values transmitted depend on assumptions about the ideal human person and the ideal human society which are used as a starting point. It is here especially that the Jesuit mission of the promotion of Justice can become tangible and transparent in our educational works. For this mission must guide and inspire the lawyer and the politician, the manager and the technician, the sociologist and the artist, the scientist and the author, the Philosopher and the theologian. Our institutions make their essential contribution to society by embodying in our educational process a rigorous, probing study of crucial human problems and concerns. It is for this reason that Jesuit colleges and universities must strive for high academic quality. We are speaking of something for removed from the facile and superficial world of slogans and ideology, of purely emotional and self-centered responses, and of instant and simplistic solutions. We have learned to our regret that mere appropriation of knowledge does not inevitably humanize. One would hope that we have learned that there is no value-free education. But the values imbedded in many areas of life today are presented subtly, often by assumption. We need to discover ways that will enable students to from the habit of reflecting on values. Habits are not formed only by chance occasional happenings.Rather, habits develop only by consistent, planned practice. The goal of forming habits of critical reflection needs to be worked on by teachers in all subjects in ways appropriate to the maturity of students at different levels. This habitual reflection should be applied to the human sciences students learn, the technology being developed, and the whole spectrum of social and political programs suggested by both prophets and politicians. A value-oriented educational goal like ours-forming men and women for others-will not be realized unless it is infused within our educational programs at every level. The goal is to challenge our students to reflect upon the value implications of what they study, to assess values and their consequences for human beings. They run no less than 52 university colleges, 17 institutes of business administration and 220 high schools spread throughout the country, almost all of them among its most reputed. More than 360,000 students belonging to every religious, linguistic and socio-economic group receive their education. In the context of glaring inequalities and widespread poverty, the insistence is no longer on influencing the rich, the learned and the powerful as the best means of doing good, but rather on helping the common man to live a decent human existence as the first prerequisite for any spiritual concern. A new thrust is seen: a single-minded and wholehearted response to the multi-religious and multi-cultural realities of the modern world. Their response is promotion of justice as an integral dimension of faith and a dialogue with unbelievers and with those of various secular ideologies. 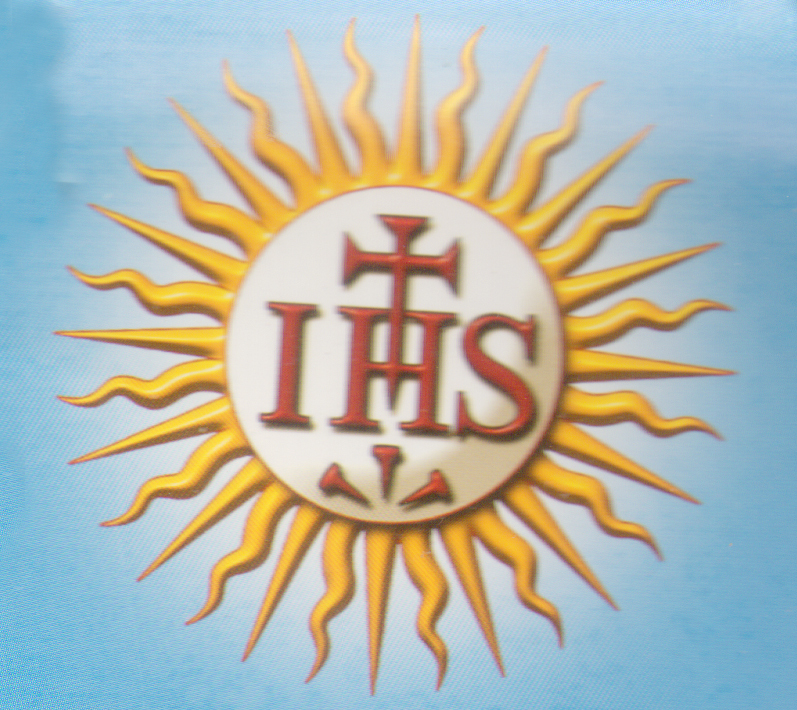 These three bearings now guide the course of Jesuit activities and institutions. St. Xavier's College, (2015), Burdwan and more. Ever since its creation, the Ranchi Jesuit Society is engaged in multiple ministries—education, pastoral, social justice, human and tribal rights, spirituality, etc. As of now there are 10 Commissions trying to take the mission-vision of the Province forward. In the last few decades Ranchi Province has undergone a transformation from a mission province to a missionary province and spread its wings in Africa, Cambodia, Egypt, Guyana and Israel. In the Indian sub-continent itself, Ranchi Province has expanded to Assam and the Andamans. The Province has some presence in national and international houses. The India Desk is also trying to consolidate the relationship between Ranchi and Belgian Provinces. The efforts for the beatification of Father Constant Lievens are in progress. St. Xavier's College, Ranchi is a Minority Educational Institution based on religion which is established and maintained by the Ranchi Jesuit Province of the Society of Jesus. The College is registered by the Ranchi Province under the local title 'Xavier's Ranchi' under the Society's Registration Act XXI of 1860. St. Xavier’s College is an educational institution, which strives to prepare men and women who will build a more just and humane world. It strives to attain an intellectual endeavour that focuses on critical and creative thinking, with the aim of social transformation. The College makes a preferential option for the marginalised mass and it seeks to give an all round formation, inculcating both human and spiritual values. Competence, compassion and commitment are the hallmarks of a human person we seek to encourage.